Home » Calendar » Soyica Colbert, "Notes of a Native Daughter: Lorraine Hansberry's Formative Years"
The English Department is pleased to welcome Soyica Colbert of Georgetown College to deliver a job talk entitled ”Notes of a Native Daughter: Lorraine Hansberry’s Formative Years.” Dr. Colbert is the Chair of the Department of Performing Arts, Director of Theater and Performance Studies and an Associate Professor of African American Studies and Theater and Performance Studies at Georgetown University. She is the author of The African American Theatrical Body: Reception, Performance and the Stage (Cambridge University Press, 2011) and Black Movements: Performance and Cultural Politics (Rutgers University Press, 2017). Dr. Colbert edited the Black Performance special issue of African American Review (2012) and co-edited The Psychic Hold of Slavery (Rutgers University Press, 2016). She is currently working on two book projects, Lorraine Hansberry: Artist/Activist and I See You: Blackness in Visual Culture and Performance Theory. 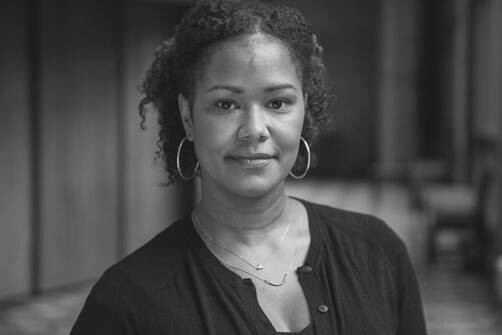 Dr. Colbert has published articles in American Theatre, African American Review, Theatre Survey, Modern Drama, Boundary 2, South Atlantic Quarterly, Scholar and Feminist Online, and Theatre Topics and in the collections: Black Performance Theory, Contemporary African American Women Playwrights, and August Wilson: Completing the Cycle. She is the recipient of the Schomburg Scholars-in-Residence Fellowship, Woodrow Wilson Foundation Career Enhancement Fellowship, Stanford Humanities Postdoctoral Fellowship, Mellon Summer Research Grant, and the Robert W. Woodruff Library Fellowship. Her research interests span the 19th-21st centuries, from Harriet Tubman to Beyoncé, and from poetics to performance.